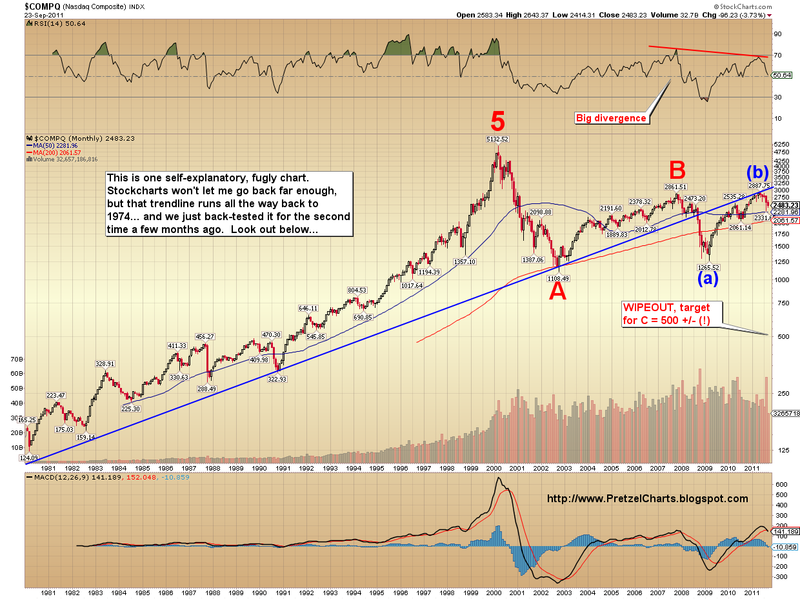 Pretzel Logic's Market Charts and Analysis: But What of the NASDAQ? But What of the NASDAQ? We don't spend a lot of time talking about the NASDAQ Composite here, largely because the NASDAQ has sometimes been cruel to us. When we were children, the NASDAQ used to sit behind us in math class and give us wet-willies constantly, and we will never forgive it. However, we are making an exception tonight, and have drawn up a long-term chart of the NASTY. This chart is extremely bearish and largely self-explanatory. The only thing I have to add is for those not well-versed in Elliott Theory. Under our preferred count shown here, we are currently in wave C-down, and the worst part of the wave has only just started. We should see a bit more downside before we get a nice relief rally, but then it's Look Out Below. 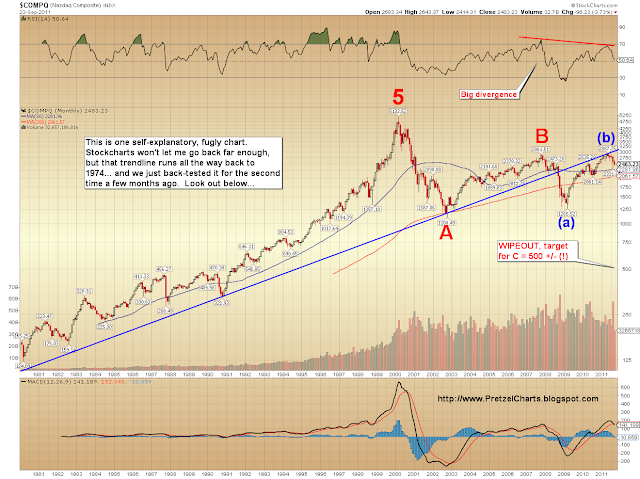 Our long-term target for a bottom is around 500.